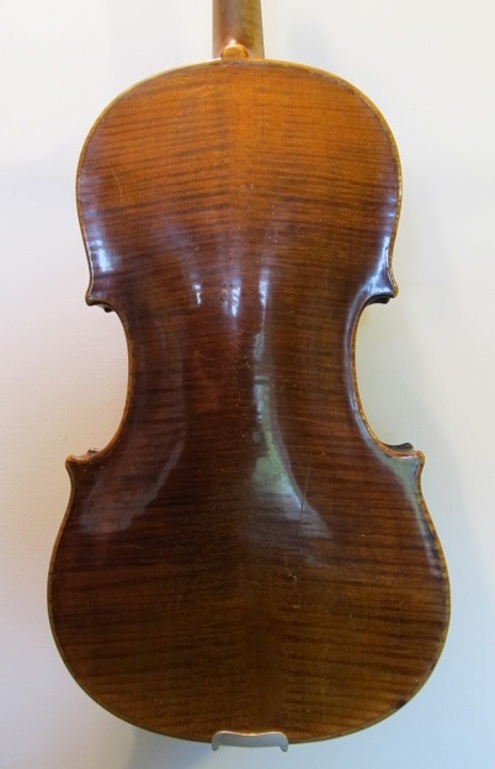 19th Century Saxon viola, unlabelled. Beautiful work, very typical of the region with its gold-brown varnish. 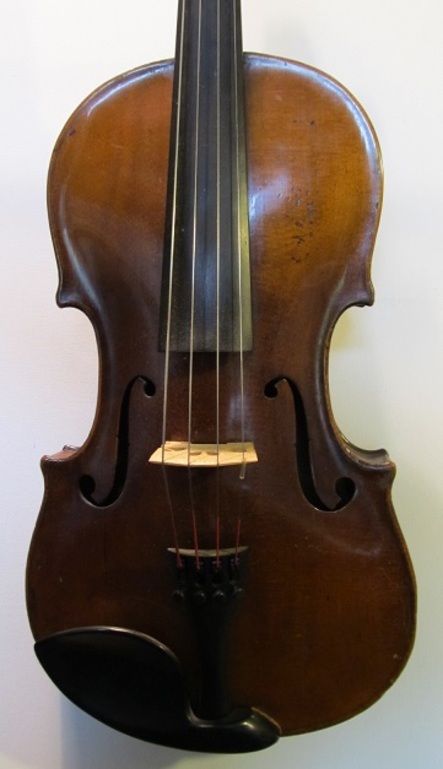 I have had this viola for some time, and played it myself when I was doing my music MA in Limerick. It has a lovely mature tone, very warm, and it is responsive and easy to play. It has a 15.25 inch back, which makes it very manageable for small or medium-sized people! 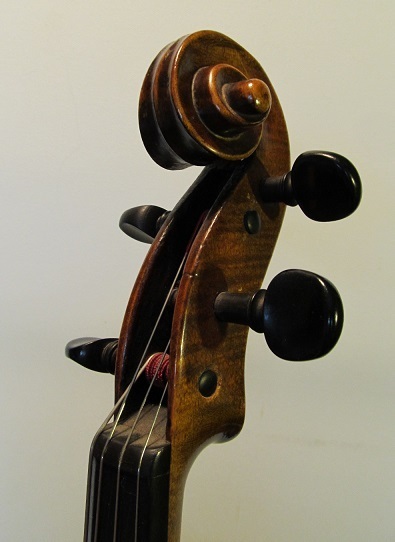 Over the decade or so that I have been refurbishing instruments, the price of vintage and antique violas has more than doubled, and it is extremely hard to get hold of them. This one is extremely reasonably priced, and I doubt I'll be able to repeat it in future. Condition: There are two old cracks on the front, running down from the f-holes, nowhere near the soundpost or bassbar. These were repaired before my time, and are tight and stable. Set-up: New pegs, bridge, soundpost, Spirocore strings and Wittner tailpiece.